There's no denying my ferocious sweet tooth, and I've been a Häagen-Dazs fan for many years now. If the two frequently-replenished chocolate Häagen-Dazs ice cream tubs in my freezer is anything to go by, I'm definitely a repeat customer (much to my husband's chagrin) and a sodding huge ice cream fan. 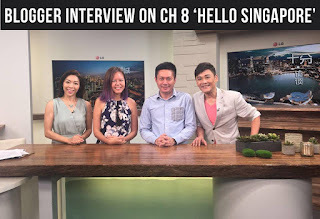 I still reminisce with fondness the first cup of Chocolate Chocolate Chip ice cream I bought for $3.90 over the Häagen-Dazs counter at Thomson Plaza way back when I was about six, and it was the most delicious thing I'd ever tasted. Since then, the Chocolate Chocolate Chip flavour has been phased out (sob), and I'm (only slightly) ashamed to admit that I can polish off an entire pint of ice cream by myself in one sitting. 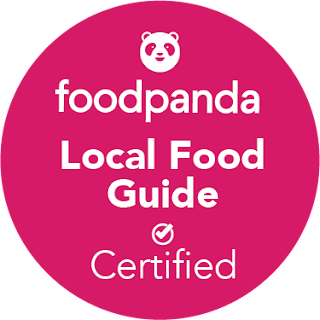 Call me gross, but let me tell you: that thick, dense concoction of wondrously sweet and decadent cream is anything but. 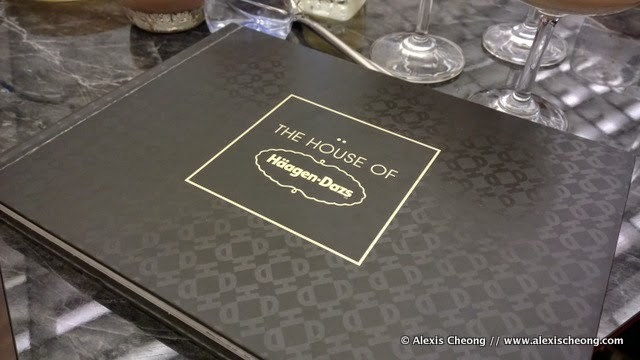 So it was with much pleasure that I attended the launch of the flagship Häagen-Dazs store on the fourth floor of Ion Orchard and got to sample some of their cool, new and unique ice cream, tea and alcoholic offerings. 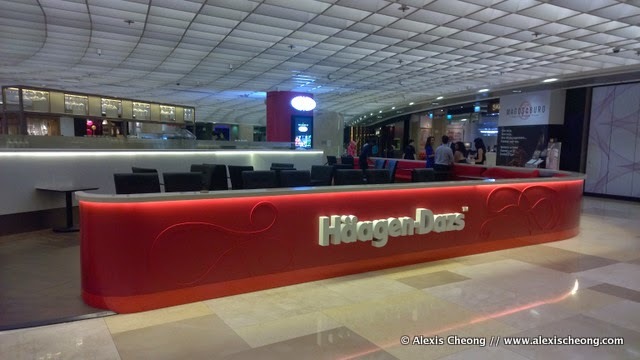 Häagen-Dazs stores have been around for yonks, but this particular one will take your breath away. 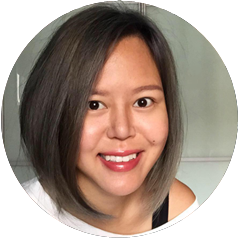 It's got a delightful open concept, complete with a sleek, long bar counter (they call it a dessert bar) with hanging wine glasses, and it exudes a more premium vibe - being situated in the middle of Ion's classy fourth floor helps. 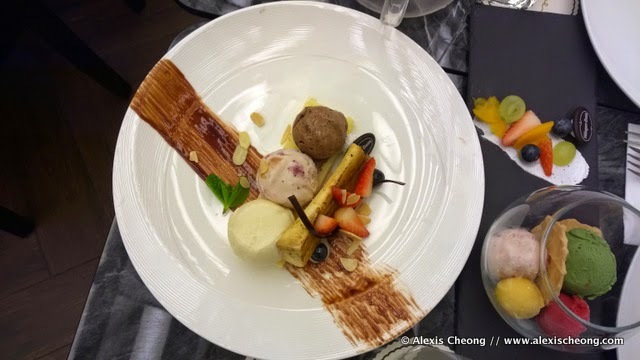 We sampled an array of new creations conceptualized by Häagen-Dazs chefs. The Brulee Banana Split ($14.90) was possibly my favourite - it's a very simple arrangement of the standard three chocolate-vanilla-strawberry ice cream scoops topped with candied banana on a vanilla pound cake, but it's a winner. I can't resist a good banana split, and this re-imagined version is ace. We also got to sample Summer Paradise ($16.50) - scoops of Green Tea, Strawberry, Mango Sorbet and Raspberry Sorbet atop crisp wafer - and Eiffel Tower ($25.90) - brownie with Belgian Chocolate and Cookies & Cream topped with cute Eiffel Tower chocolate cut-outs. 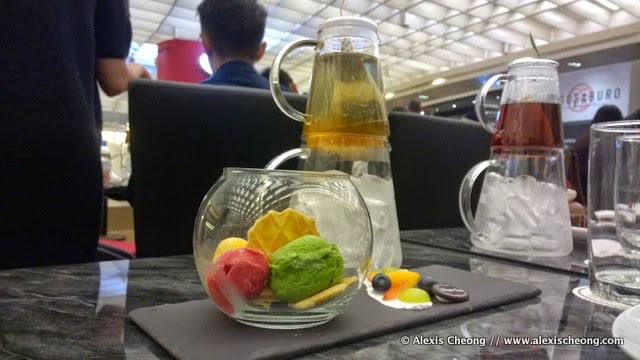 The flagship store also features ice-cream pairings with premium teas, and we got to sample iced black and white teas, which were meant to pair with the ice cream creations. 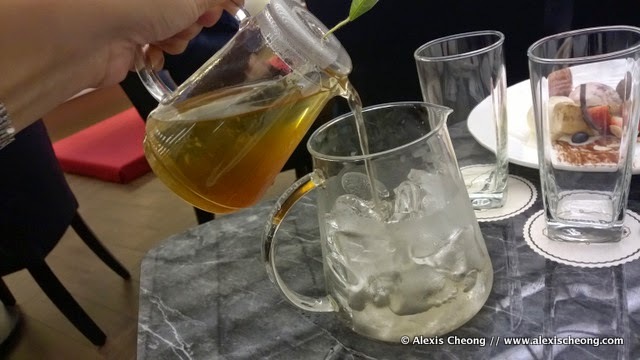 I loved how they described this pairing as "transforming your tea experience", embellishing it with some other lovely words about how pouring the hot tea over a pitcher of ice elevates the ceremonial nature of drinking tea. To be fair, the teas we sampled were quite lovely - cold, smooth and without the awful aftertaste of flavoured tea that's been left out too long and gone bitter. 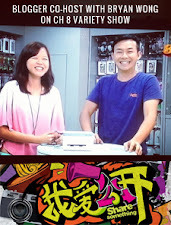 Do also check out their ice cream cocktails - the Ion Orchard outlet is the first in Southeast Asia to be rolling it out. 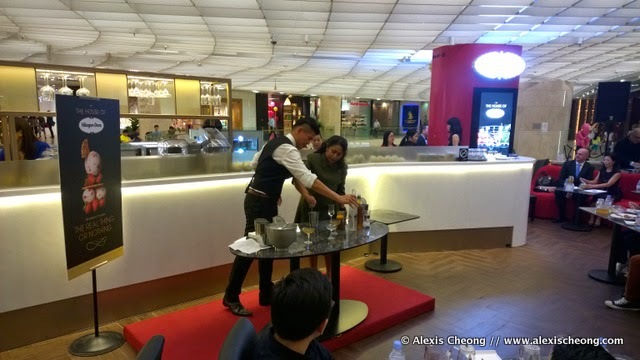 The cocktails were conceptualized by mixologist Ethan Leslie Leong of Maison Ikkoku fame and my favourite was the Creme D'Earl Grey - a yummy mixture of gin, tea and Vanilla. The other cocktails we sampled were the Vintage Caramel (a tad too sweet and punchy) and Black Tie (way too alcoholic for my liking). It was definitely a party on my palette, and I think some of the alcoholic cocktails will definitely be a hit here. While I can definitely appreciate the artisan and playful take on regular Häagen-Dazs ice cream favourites - each exquisite ice cream or alcoholic creation lovingly handcrafted to creative perfection - I'd very much prefer to kick back in front of my TV with my favourite tub of Häagen-Dazs, and you'd be amazed how quickly the 473ml of stuff disappears down my throat. 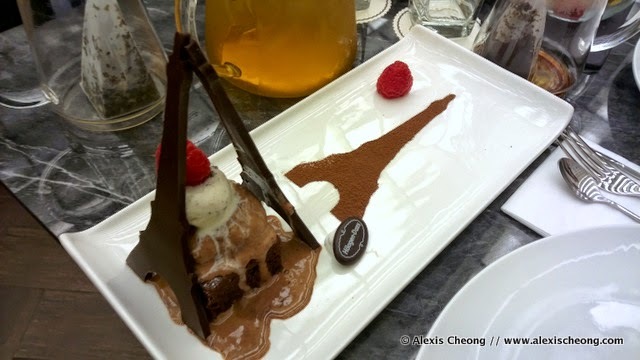 But, if unlike me, you prefer a less plebeian experience of indulgence, the House of Häagen-Dazs at Ion Orchard is a terrific place to satisfy your craving for something sweet and refreshing, with an added touch of luxe to round off a great ice cream experience. Thanks to Häagen-Dazs and Text100 for the invite!